A no-needle policy in India could be in the offing. In the aftermath of all the 'needle' controversy that unfolded in Gold Coast, Indian Olympic Association (IOA) president Narinder Batra has called for the 'no-needle policy' to be strictly implemented in all the national camps at the earliest. “We have taken this issue very seriously. IOA will write to the Sports ministry and SAI to make 'no needle' policy mandatory in all the national training camps,” Batra said at a press conference in New Delhi, with International Olympic Committee (IOC) president Thomas Bach sitting next to him. 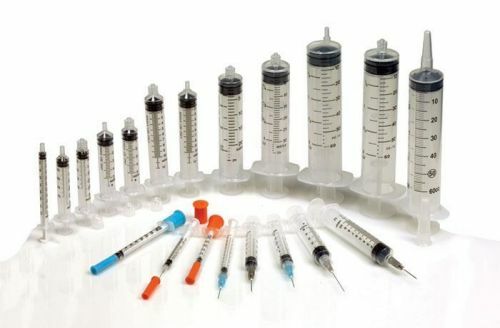 "The athletes will have to be made aware of 'no needle' policy at the very first stage. Our commitment against doping is clear and there can be no compromise on it," he further added. The Commonwealth Games Federation (CGF) has a very strict 'no-needle' policy which states the Commonwealth Games are “needle-free” for all participating athletes. Failure to comply with the policy may "expose the Athlete(s), the entourage of the Athlete(s), the CGA and members of its delegation, as well as the Person(s), having administered the injection to disciplinary action, additional Testing and sanctions." The Indian contingent was embarrassed at the Gold Coast Commonwealth Games, not once but twice. Even before the Games had started, a controversy had erupted in the Indian camp after a needle was found in the common lobby of athletes' accommodation in the Games Village. The CGF reprimanded India for breaking the ‘No Needle Policy’ after it was found that a senior boxer was administered “vitamins”. Later on, towards the latter stages, athletes KT Irfan and triple jumper Rakesh Babu were sent back home from Australia after they too flouted the ‘no needle' policy. Now, Batra has exhorted the federations to ensure the no-needle policy in camps. While Batra has given a clear directive to the different federation, it remains to be seen if and when the policy is actually implemented and also, how strictly the policy is followed. This comes as a welcome move because not only will the athletes be wary of the policy but they will also learn deal with their problems without the use of needles. Having said that, the policy needs to be implemented properly, and the punishments for flouting it need to be severe.